We traveled to Hong Kong for 5 days in October and we stayed at Novotel Hong Kong Nathan Road Kowloon. 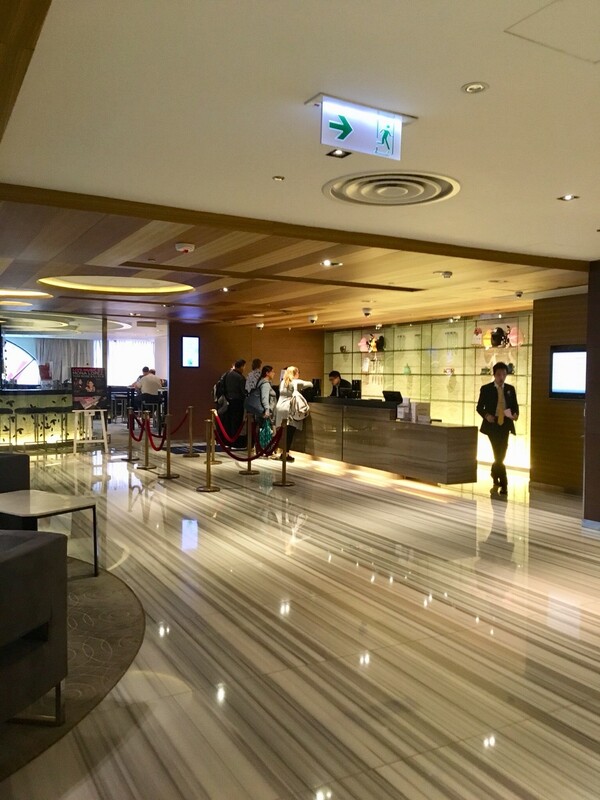 Novotel Hong Kong at Nathan Road, Kowloon is a four star hotel, part of AccorHotels Group. The hotel is located at Nathan road, Hong Kong. You can get the bus A21 from Hong Kong airport and get off at the 10th station Nathan Road, it took 45 minutes from the airport and then it was just a short walk to the hotel. We arrived at the hotel around 7.30 pm. You have to go upstairs to the lobby. They have a separate lane for an Accor Hotels member and we checked in there. The hotel gave us welcome drink coupons and then we can get a soft drink or a beer or a cocktail at the bar. The hotel has one restaurant for all day dining and one bar. We tried the restaurant just for breakfast, the breakfast was just average same as all the other four star hotels. The food at the bar was good and they have a live music band at night. We stayed in the superior room on the 9th floor. The room is a little bit small like 24 sqm but this is Hong Kong so this size is good compared to other hotels. It had a welcome fruit basket in the room. It had a king size bed which was comfortable and it had a sofa next to the bed. Also the room was so clean. But we had problem about electric on the last night, We had to wake up at 4 am because of the lamp turned on and off all the time by itself then we called to the reception after 10 minutes they sent 2 engineer to fix it. The bathroom doesn’t have bathtub, it has only a shower room. It came with amenities like shampoo, conditioner and shower gel. I was wondering about other amenities like shower cap, body lotion, vanity set and etc. but I asked the maid the next day and she gave me all of the amenities. So I wonder if I have to ask about it or this is the hotel ‘s standard? For me Novotel Hong Kong Nathan Road Kowloon is a business hotel. The location is the best, on Nathan Road and very easy to go to MRT station. You can just walk to temple street or even Tsim Sha Tsui (took me like 15-20 minutes). Also you can just walk to the bus stop like 2-3 minutes. The hotel staff were nice and helpful, especially the maid she was nice and very polite. I was happy to stayed here and 100% will stay here if I go to Hong Kong again but it would be better if they put more amenities in bathroom. I'm a Thai girl who just like to stay in nice hotels and I just want to share all of my experiences with you guys.